Cécile Schott is an artist in the truest sense. The Parisienne – now a Spanish resident – has been responsible for some of the most beautiful and compelling sonic creations to have graced this Earth. As ever, the music of Colleen bears Schott’s unique vision and masterful artistry. Ever since first hearing Colleen’s debut album, ‘Everyone Alive Wants Answers’ (The Leaf Label, 2003) ten years ago, her music has formed an indispensable part of my record collection. The series of universally acclaimed instrumental opuses recorded for the Leaf label are works of staggering beauty. Like any true artist, their output of work bears their mark. This is certainly true for Colleen, where a divine tapestry of beguiling sound is endlessly created. What I love about Schott’s music – and perhaps this is the ‘mark’ – is the deeply sensual aspect of Colleen’s transcendent music. The intricate layers of instrumentation (bowed and plucked viola da gamba, music boxes and a myriad of other sources) and intricate arrangements truly awaken your senses. It is music to savour. Ten years after the release of Colleen’s debut record, we are fortunate to treasure the newest creation, ‘The Weighing Of The Heart’ and revel in its artistic brilliance and unwavering beauty. ‘The Weighing Of The Heart’ finds Schott seeking a new musical path. A central question was posed: “How can I incorporate the voice without losing the characteristics of my instrumental music?” What is most impressive to me is not only how the unique blend of delicate instrumental music retained but how all aspects of the music is heightened. A sonic canvas is etched across an immense sea of colours and textures before your very eyes. The songs are woven from the light of dawn that gently flows through the pores of your heart. 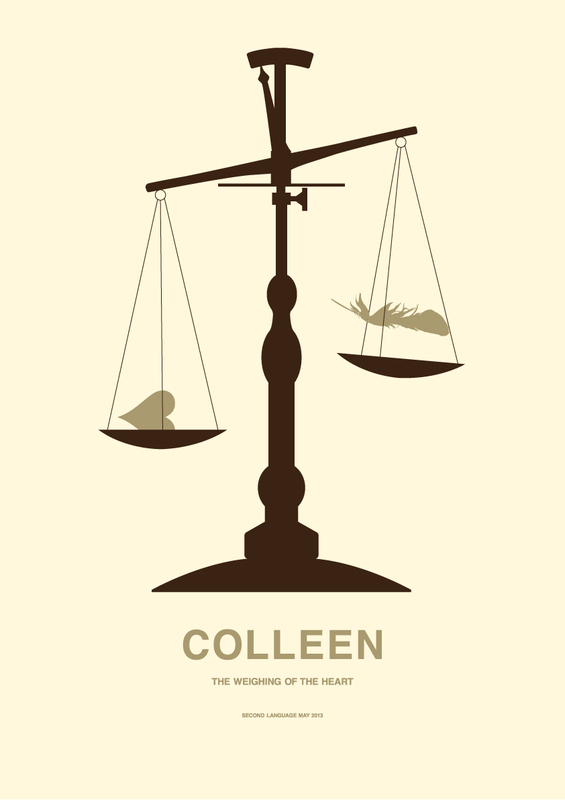 In many ways, I feel ‘The Weighing Of The Heart’ is a defining moment, not only in Colleen’s songbook, but independent music as a whole. To witness an artist venture down new paths and expand new horizons is awe-inspiring. Music’s endless possibilities are distilled in the album’s eleven transcendent creations. The instrument of Schott’s voice interweaves majestically with the divine instrumentation of plucked bass and treble violas da gamba and the more orthodox sounds of classical guitar, clarinet, piano and organ. Furthermore, rhythm serves a vital role to the new sound captured on ‘The Weighing Of The Heart’. A gorgeous plethora of percussion, from minimal drum kit and frame drum, to toy gamelan and various bells breathes endearing life to the other worldly song cycles. In the words of Schott: “My music is just about rhythm as it is about melody.” A tremendous sense of joy permeates throughout making for a wholly uplifting and fulfilling sonic odyssey. There is a lovely correlation between Colleen – and this new musical path – and the works of other luminaries, such as Moondog and Arthur Russell. The inception of ‘The Weighing Of The Heart’ was heavily influenced by Schott’s love and admiration of these avant-garde composers; “prompted by my love of Moondog’s records.” Colleen’s music shares the kindred spirit of Moondog and Russell where an undeniable spiritual essence is arrived at. Similar to the unique songcraft of Moondog, an ethereal dimension is wonderfully tapped into by Schott, where the epic and surreal are wonderfully drawn from. A sound is formed that is distinctively Colleen’s. Few others could conjure up such delicate emotion through the art of sound. ‘The Weighing Of The Heart’ was written, played, produced, recorded and mixed in its entirety by Cécile Schott. It simply astounds me how this work can be created solely by one person. The music reflects an artist at the height of her powers where there is a further deepening and refining of her unique songcraft. The songs were captured at home and in a former olive shop (which Schott turned into her rehearsal space), used in the quiet of night once the bustling Spanish life finally ceased. The special spark of creativity is effortlessly captured on these recordings. The resulting body of work possesses an otherworldly realm that transcends both space and time. Lyrically, themes of the natural world and natural elements form the foundation to the album’s sonic canvas. The lyrics for me reflect haiku-like stanzas, where the refrain of words sung by Schott, offer wisdom and divine inspiration. A kaleidoscope of gorgeous shades and textures are formed of a “moonlit sky”, “lonely fields”, “the moon, the wind” and “the northern sky”. The subject matter was partly inspired by Schott moving away from the city and living in the Spanish countryside, “three minutes walk from the sea, surrounded by hills and mountains…where you can actually get away from civilization really quickly and easily.” Allow your heart and soul rejoice in the triumphant musical landscape. Album opener ‘Push The Boat Onto The Sand’ comprises Schott’s mesmerising voice and delicate instrumentation of guitar. The refrain of “Push the boat onto the sand” possesses a meditative quality that effortlessly reels you in. A sublime cascade of looped tones and notes swirl magnificently amidst the sand and sea. A beautiful guitar passage ascends to the foreground of the clouds of sound. The closing choral refrain of “O to sail away” shares the spark of Julianna Barwick where raptures of choral bliss forms footprints in the sand. ‘Ursa Major Find’ is my personal highlight on ‘The Weighing Of The Heart’. In fact, this could be the most formidable creations of Colleen’s songbook thus far. Music as precious as this is rarely found. The breathtaking arrangements of Cécile’s voice, blended with treble viola da gamba, guitar and piano is something to truly behold. A heavenly spectrum of organic sounds and timbres opens up a sea of infinite beauty. The lyrics concern the planet and the Great Bear constellation, where a seashell is “missing from the shore below”. The words mix the real and the imaginary. ‘Ursa Major Find’ makes the impossible happen. ‘Geometría Del Universo’ comprises Colleen’s trademark treble viola da gamba. This solo performance encompasses many worlds of sound, closest I feel to Malian music. I feel the spirit of ‘In The Heart Of the Moon’ by Ali Farka Touré and Toumani Diabeté permeate the song’s headspace of delicate viola notes. ‘Humming Fields’ evokes nostalgia, the passing of time and childhood memories, as a whirlwind of percussion, bells and voice fills your heart and mind. The song could be taken from any one of Moondog’s records. The song’s intimacy and directness is nothing short of magical where I feel the breeze of the wind rustling the reeds. A magical sense of place and bliss of solitude radiates from the compelling instrumentation as Schott’s voice transports you to forgotten dreams. ‘Break Away’ distills the essence of ‘The Weighing Of The Heart’ where Schott’s voice serves as the glorious instrument that echoes the enchanting sounds of Julia Holter, Arvo Pärt and Moondog. ‘Going Forth By Day’ is sublime instrumental music evoking pastoral landscapes and colours of spring. I love the rhythm (maracas) that serves as the song’s pulse throughout. The use of clarinet breathes new colours and textures to Colleen’s achingly beautiful tapestry of celestial sound. ‘The Moon Like A Bell’ is an ethereal folk gem. The song shares the spirit of Linda Perhacs’ ‘Parallelograms’ where the refrain of “Moon be bright and shine” brings the lament to a fitting close. ‘Moonlit Sky’ is sublime. I love the cinematic quality captured within the recording. The clarinet melody meanders magnificently throughout, resembling the blowing wind in all its power and glory. The arrival of the Farfisa Compact instrument towards the song’s close is the perfect score to the formation of “the moonlit sky”. ‘Breaking Up The Earth’ comprises of bass viola da gamba, voice, muffled floor tom and snare drum. I feel all the elements of Colleen’s artistry is allowed to shine brightly here. The hypnotic rhythms stops you immediately in your tracks. Schott’s voice adds gorgeous ambient flourishes to the three-dimensional sphere of sound. Raven, why stare at me with those eyes? “The time has come to weigh my heart” is a lyric that resonates powerfully on album closer, and title-track ‘The Weighing Of The Heart’. The lyrics – inspired by the Egyptian Book of the Dead – encompass life, death, the after-world and righteousness. A purity is distilled in the words and music that, for me, embodies the triumphant return of the special soul that is Cécile Schott. We are very grateful for your return. “The Weighing Of The Heart” is out now on Second Language. I love your new album. It’s such an amazing record. For the records before ‘The Weighing of the Heart’, it was this beautiful instrumental music, but I love how you are able to incorporate your voice so perfectly into the music, while retaining that special sense of beauty. It works very well. Thank you. Well, basically, I think that was the hardest thing for me to achieve. When I went back to making music – which was about 2010 – I had taken a break for about a year and when I started making music again, I knew that I wanted to incorporate the voice – I knew that – but I wasn’t sure how to go about it. First of all, because I’m not really a singer, well I’m not a singer at all actually. But first of all I had to literally find my voice, so that took me quite some time. And then I struggled with lyrics and also even beyond those two problems of learning how to sing and finding the kind of lyrics that I wanted to have. There was also a problem of fitting vocal melodies into my music. It took me a long time to work on the album because sometimes I had the lyrics but I didn’t have the actual vocal melody to put inside the song. Or it was the reverse, I had the vocal melody that I really liked on some music but I couldn’t see what kind of lyrics to put on there. That really clicked into place quite late, I would say, last summer, you know. I recorded the album from November to January of this year and it’s only in August that I finalized the lyrics. I had things ready in September/October but it was really until the last-minute that I was looking for ways of making everything fit together. It’s true that when I decided to work on the voice, I was aware that there are so many people out there. Actually, it’s the most common combination, you know, in popular music in the wide sense: it’s someone singing and they’re playing some kind of instrument at the same time. And obviously that’s been going on for the longest time in history and I thought, well, if I am going to use my voice now, I have to make sure it’s really, really special and I have to keep the thing I did have which was special in my instrumental music. So I did work very hard in trying to achieve that. You certainly achieved it because it is very much away from that popular tradition. It reminds me very much of Moondog. I love for example ‘Break Away’ – it’s just your voice – but it has shades for me of Julia Holter and these wonderful voices, it works so well. It’s amazing. Thank you so much. I was really worried that maybe it wasn’t going to be accepted by people, but thank you – I’m really glad of your compliments. I read that a lot of the music was prompted by your love of Moondog records. You must be a big fan of his work. Yeah, yeah, I’m definitely a big fan. It’s something that’s been growing on me. His music, I loved it from the start but his output is quite large so I think he’s one of those musicians where you know maybe you, I don’t know – I’m trying to think of when I first heard some Moondog music – and I think it was probably more than ten years ago, but obviously I didn’t buy everything from the start. It’s not like I got the entire Moondog discography. Then I actually read his official biography which was published, I don’t know, maybe three years ago. Actually, I’m always fascinated and motivated by certain musicians – not just their actual music – but also their general approach to making music and almost their philosophy of life. So I think Moondog was very important and also, Arthur Russell, in much the same way. They’re people who had a large output but it was quite varied but it always bears their mark, and you can see that they spend, you know, thousands of hours refining their skills. When you listen to their music you know it’s distinctively theirs, you know, from the first second. For Moondog, I don’t know if you are familiar with his second album for Columbia? Yeah, now they do release it as a double album. The first one which was very orchestrated and then the second one is madrigals and canons and stuff like that, and it’s him and his daughter, so it’s like these dialogues between his voice and her voice, and all sorts of instruments. The songs are usually quite short – around the two-minute mark – buy they’re like these perfect miniatures, and definitely that record was like a model of what can be done with voices, they’re very melodic and yet it doesn’t sound like a pop form as such. It’s very much, you can listen to it in many different ways and that’s what I like, there’s a very strong melodic appeal but it’s also kind of like an experimental miniature but it’s also very human. What you say there, Cécile, to describe those two artists, you can say the exact same for your music. It has a very distinct sound. If you hear for example something off your first album-or any album-you know straight away, oh that’s Colleen, it has its own mark I guess. My favourite song on the new album at the moment is the second song, ‘Ursa Major Find’. I just love how those two lines you sing again and again, it really has a special feel to it. I’m really happy with that song too and, again, it’s one of those songs that the lyrics are very simple but it took me a while to find out what the lyrics were going to be. So basically I live by the sea and that’s definitely a big influence on my lyrics, just living by the sea. And having moved from a city environment to a smaller place and for the first time in my life actually noticing the natural environment so that was part of the equation in those lyrics. In the other equation is just becoming more aware of the universe, it might sound a bit cheesy but I think it was about two years ago, I watched a series; do you know Carl Sagan? He was a popular American scientist and he had this series called “Cosmos” from 1980 which was quite famous and I watched it. After “Cosmos”, I also watched a couple of other series that felt really inspirational in opening up my sense of history and of being “part of the universe” as it were: “The Ascent Of Man” by Jacob Bronoswki (1973) and David Attenborough’s “The Tribal Eye” (1975) and “The First Eden” (1987). It’s all about how the universe was created from scratch and things like that. Actually I got quite into that even though my sense of scientific knowledge is really, really poor but just the little notion of the bigger things around ourselves. So I think, in general, some of the lyrics on the album, they reflect this double interest of the immediate natural world you see, and the sense of wonder of the actual universe around us. I was interested in conflating the two and making the impossible happen. This thing about finding a seashell in the constellation Ursa Major is completely impossible, so that’s how it gets more poetic. It’s definitely not a realistic thing. It’s also more about having images. I also worked really hard in terms of having strong images or like a mini-short story in a way, like those two lines in ‘Ursa Major Find’, it’s like a very, very condensed short story, in a way. Exactly, because it’s very minimal in terms of the words used but it’s the effect of those words then that makes all that magic happen. Even for me as I listen to it, I feel I am transported to this other universe. It’s really quite something. It’s very apparent on the new album, how there is a lovely sense of the rhythm and the wonderful layers of percussion that blends so well with your gorgeous instrumentation. Well, that was the other thing that took me quite some time, apart from the lyrics and the singing. People perceive my music as being melancholic or even sad at times. I still have feedback on this album from people, that say it’s melancholy etc and from my end I see it as a much more joyful album than the stuff I’ve done in the past. And definitely when I discovered the world of percussion and – just in general – just taking a more rhythmic approach to playing. My aim in that was to try to push myself away from what comes to me more naturally and more easily which is the melancholy stuff. ‘Les Ondes Silencieuses’, the album before that, was definitely quite an austere album in some ways, and I definitely wanted to go away from that. At the time of making the album, I just wanted my music to reflect a sense of joy and movement in a way. So I think getting into percussion and into rhythm, it really helped me approach my instruments differently and to step out of my usual patterns. Because I think that’s the thing when you’ve been making music for a long time, and in my case, I am going to be thirty-seven soon, and I’ve started to play the guitar when I was fifteen. So, even though I released my first album ten years ago, it’s actually been twenty-two years that I’ve been making music. So I think you know, you go back to your instruments and you do form the same patterns. As far as I am concerned, a part of me think it’s OK and another part of me thinks you really have to always push yourself to try to find something new. If only because I would bore myself if I was playing the same thing again and again. So, definitely when I started to learn percussion, it mostly started with learning the frame drum. Then all of a sudden, I finally understood how the basic rhythms are put together, and then when I took my other instruments, it just felt immediately natural to play in a more accented rhythmic way. So I think it’s definitely a big step forward and I’m really looking forward to keeping on working in that direction. It’s what I really want to explore further is the rhythm and the use of the voice, that’s definitely the step forward for me I think. That’s wonderful. I’m also intrigued further with the lyrics; they’re almost like haikus. They’re very much like words of wisdom where there is very much a sense of the spiritual and the words are very poetic. Well, thank you very much. Well actually you mention poetry and that’s one of the things I did when I was trying to write lyrics. I was writing stuff but I could see that it just wasn’t very good. I think one of the ways to go forward when you’re having some kind of block is to keep writing and writing and at the same time find inspiration in the best stuff. The idea is not to copy but just to soak up other people’s masterpieces, because I do think that, in a way, afterwards it does tend to rub off on you, even if subconsciously. And so I read a lot of poetry. I did read some haiku, although I’m not a haiku specialist. I am a big fan of Japanese culture in general, so that’s definitely an aesthetic I was already familiar with. Then I read some famous poetry of English-speaking poets and then I read some classics that I have never taken the time to read, like Walt Whitman’s ‘Leaves Of Grass’. I read the entire works of Emily Dickinson [laughs]. That took me months and months because that’s actually huge, but it was really worth it. Especially for instance her poetry; my favourite things of hers are the poems where she describes the natural world and animals, and also things to do with the natural elements. To me, it really encouraged me to keep writing because what I find fascinating about writing is that if you take the same subject, say, the grass in Spring. Well, if you are a bad poet you can’t write anything good about it but you can take ten different great poets and they will all have written something amazing about something as simple as the grass in Spring. And so, it just goes to show, it’s the way you do things, and your own way of looking at things which then you have to learn to transcribe into words – or into music – but I think it’s the look of the person that really makes something artistic in a way, if that makes sense. Yes, it does. That was lovely. Even, Cécile, the title of the album, ‘The Weighing Of The Heart’, it’s something very beautiful having those words together. Well that’s not from me because that’s actually inspired by the Egyptian Book of the Dead. So, basically when Egyptian people, mostly people of a certain standard in Egyptian society when they were buried, they usually had a book buried with them. The book was supposed to give them instructions so that they could pass onto the after-world, and so that they could have some kind of after-life. And so one of the first things that they had to do was to go through this weighing of the heart ceremony, where basically there were some kind of scales. On one half of the scales you had the feather of truth or justice (I can’t remember if it was the feather of truth or justice), and then the heart of the deceased person was put on the scales. If the heart was as light as the feather, then they could pass on to the after-world. So, basically it is the test as to how you have lived your life; If you’ve tried to do the right thing, to be a good person. Basically, I thought it was a really, really beautiful metaphor for certain situations in life where you’re faced with difficult events and you try to find the right response and not to get overwhelmed by things. At home, we actually have a really nice edition of the Egyptian Book of the Dead. I was reading it and I was really struck by the image itself, you know by the idea behind it and also the words used to express all these steps the deceased has to go through. It really stayed with me and I liked it so much that I chose it as the title of the album as well. It’s a title that works perfectly to represent the actual set of songs on the album, too. Thanks, I haven’t thought of it that way but someone has actually told me kind of the same thing, that they thought also it was a reflection on the balance between the different musical elements and the instruments and the voice on the album. I’d be very interested to hear, Cécile, about your long-term interest in ceramics and stone-carving. These are a form of art in itself but I’d love to learn how this feeds into your music, because it must be a nice parallel. Well actually I stopped making ceramics and stone-carving because basically I took lessons when I was still living in Paris. I was going through a period of having no inspiration at all to make music so I really threw my heart and soul into that and it really, really helped me because otherwise, I would have felt really terrible about not making anything creative. The really interesting thing for me to do was, first of all, I think I learned again how to concentrate on something. Because I think my problem was that my music was kind of successful. In my life I ended up spending way too much time dealing with emails, traveling, that sort of stuff and I just wasn’t concentrating anymore on making music. I think it’s the first thing that was beneficial for me in learning ceramics and learning stone-carving – even at a small level – because, you know, I’m not a ceramist or a stone-carver. You find yourself in a place for two hours, three hours, four hours, and all you do is you throw your ball or you carve your piece of stone. There is no email, no internet, it is just you and what you are doing. It kind of reminded me what went wrong for me, you know, if I’m going to go back to music, that’s just what I have to do, it just has to be me and the music and I just have to forget about the rest. So, that was the first thing and the second thing that was interesting was somehow there are parallels between all art. And that in a way all the ceramics that I did and my carved stone – which was a bird – well, in a way they are a bit like my music. In music you have melodic lines and you also have texture, either depending on which instruments you are using. With ceramics it’s also the question of line, of colour, of texture and the clay you use. With the bird it is the same; are you going to sand the stone a lot, are you going to keep it rough. So it was just a really nice experience to just try different mediums. In the end I did think: “Well, I do want to go back to making music” [laughs]. That’s what I like the best. But for now that’s probably what I do best as well. I’m glad of that anyway. I was very interested to read you were recording the songs themselves at times in a disused olive shop. Yeah, that’s not a marketing thing, it’s real [laughs]. So, basically, what happened was when I moved here, I couldn’t make music in my flat. I’m a professional musician but my way of doing things is very much DIY because I like working on my own, and to actually get a real, professional studio to myself all the time, you know is obviously beyond my means. So far my way of working was mostly working from home and in Paris, I was quite lucky – at first I didn’t have many neighbours – and the place was quiet and everything. Then that changed and after that I moved here to Spain and over here it wasn’t possible for me to make music in the flat. So what I did was I looked for a space to rent as a kind of rehearsal studio space. The place that I found hadn’t been used in years and it used to be a place where they would put olives and small peppers in brine. And from that place where they would have all the olives and peppers there, and apparently they would distribute these to the local bars. It’s really funny because when the people actually see me opening the doors of the shop – it happens like every week – that someone stops me and says, “Oh, are you from the same family as the man who had the olive shop?” So, apparently it was a legendary place in the neighbourhood. It’s a really nice place but the problem is that because it is quite old, the doors don’t filter out any noise and it’s quite a noisy town, so that’s why I had to go and record at night because during the day it was just impossible with cars passing by and people walking by. So that was a bit of a challenge. I’m actually looking for another place – it may not be as nice or as pretty as the olive shop – but I just need to find a place to make music constantly. Because of the way I work, I make music all of the time. It’s not like I go into the studio for two weeks and record there. My way of working, ideally I make music and if it’s good I want to record it immediately. So, actually I wasted quite a bit of time because of this noise issue. I can only imagine too, it amazes me to think that you write, play, produce and record everything, it’s all just you. Is there a process in your head of how you see how a song starts and ends? It’s amazing because you are obviously behind all the stages of the song. Yeah, well I don’t know if there is a process as such. It always starts in the same way; just me and an instrument and just playing. If something good happens I have two ways of remembering the stuff that I’ve come up with; I try to record it immediately, even if it’s very sketchy and I also take notes-I have this kind of tablature thing and I immediately try to write down how I actually played the thing. Then I just go back to things and now with the lyrics it’s even more complicated, because I have to think about lyrics. I have to say for this album it really is the first time that it is completely me. The first album (‘Everyone Alive Wants Answers’) was just samples from other people’s records, well it was 95% samples. The second album I did everything myself but, on the other hand, it was recorded through my looping pedal so it wasn’t something in terms of sound. I love actually the second album, ‘Golden Morning Breaks’, I think it’s my favourite of the ones I have done. But it wasn’t really, let’s say, a “professional” sound. And then the third album ‘Les Ondes Silencieuses’ I got lots of help from an engineer called Emiliano Flores who also mastered my first three albums, and we recorded half of the album in his parents’ place in an attic so ‘Les Ondes Silencieuses’ the really good sound mostly comes from his skills and his microphones. But then, after that, he sold me a really good microphone and a really good pre-amp. Because I’d been able to observe the way he was recording stuff. Basically, I’m self-taught and it’s very hands-on so I think if a professional engineer saw how I make my records they’d be horrified because it’s not the right way to do things. So, definitely I learned a lot on making this particular album and especially the mixing was extremely hard but in the end it paid off. Finding the balance between the different elements because there is a lot of stereo panning going on and stereo recording that really brought life to the songs. I mean, the songs were there, everything was recorded but paying special attention to the mix. That really transformed the songs. It’s actually something I’m really looking forward to working on – this aspect of making a record – because I think you can go from something that is OK to something that’s much, much better by spending time on that. 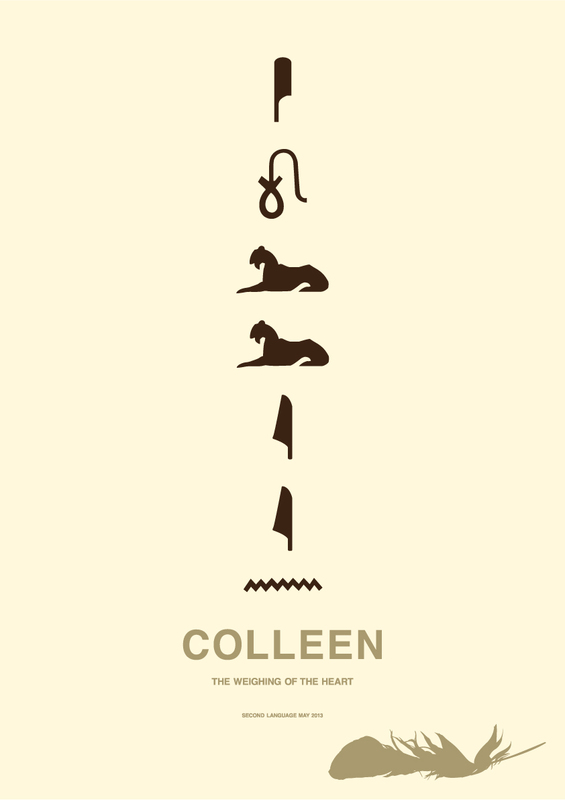 Colleen is currently on tour, to check tour dates please click here.